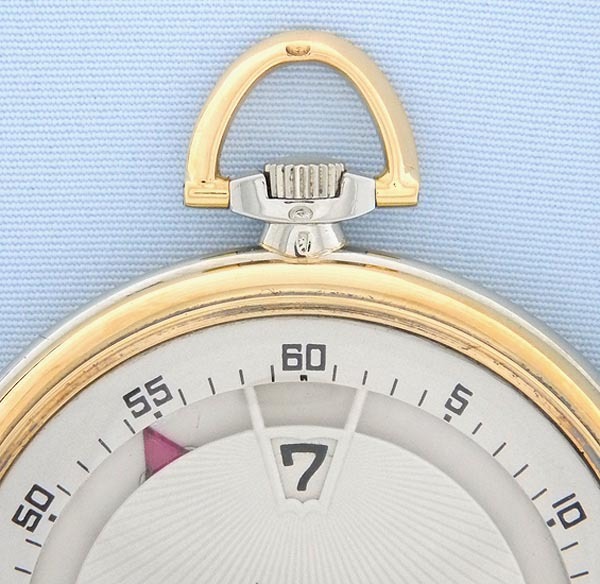 Fine and scarce Vacheron and Constantin 18K white and yellow gold Chronoscope jump hour watch by Robert Cart circa 1932. Beautifully refinished sunray dial with hour aperture above and rotating ruby hour pointer. Slim two color case. 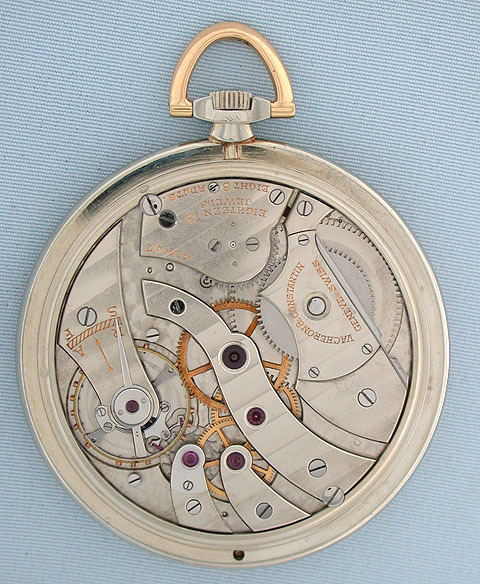 First quality slim 18 jewel 8 adjustment movement. 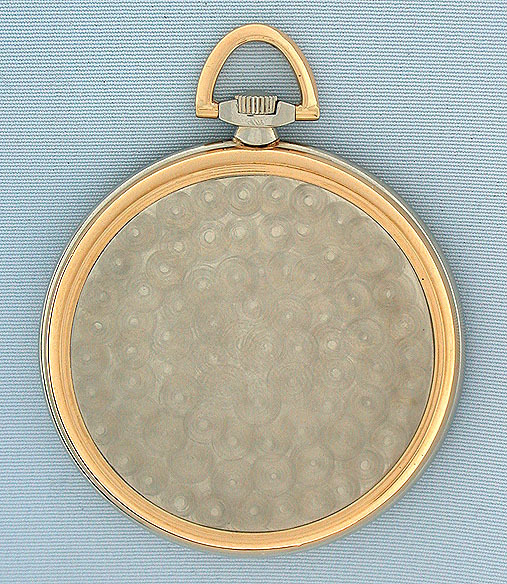 Cart was a highly regarded maker of thin and elegant watches of the highest quality. 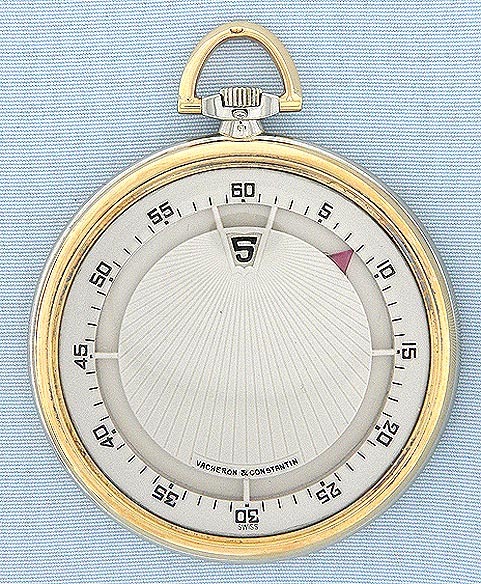 He produced watches for Gubelin in Switzerland and Sandoz in Paris as well as Vacheron & Constantin and Breguet. 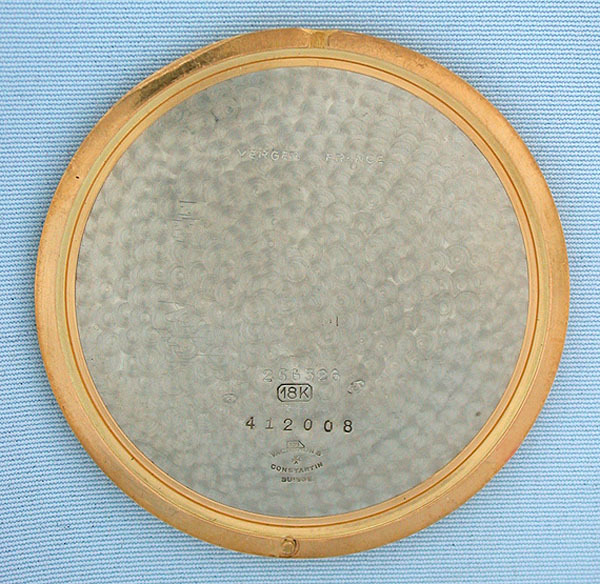 Cart's watches were always very elegant.